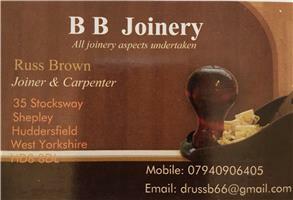 BB Joinery - Carpenter, Kitchens based in Shepley, West Yorkshire. Im a time served joiner and cabinet maker since 1990. I can supply and fit all types of joinery items from simple laminate flooring to bespoke joinery.